Photo: Yayoi Kusama, Guidepost to a New World (2016), at Victoria Miro. Photo courtesy of the Armory Show. The 2017 edition of The Armory Show was a tremendous success, a testament to the vision of returning director Benjamin Genocchio for his second year. Taking a fresh approach to a traditional, somewhat stale format, Genocchio too the proverbial bull by the horns this year, doing away with the contemporary/modern division that has come to define previous editions of the fair. With the addition of new windows to allow in more light, wider aisles, and more spacious booths, the new layout has an open, luxurious feeling that gives it a more leisurely feel. With a number of galleries showing single-artist booths, the result was a cohesive presentation of the crème de la crème in the art world. The VIP preview was packed with collectors and celebrities, including Sofia Coppola, Anderson Cooper, John McEnroe, Larry Warsh, Don Rubell, and Marty Margulies, among many others. 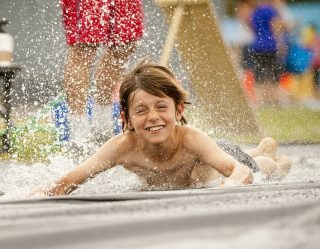 Art fairs have become a global industry and they are watched assiduously as thermostats for both creativity and sales. Above all, art fairs are evidence of our times; what happens here helps to set the bar for trends in the market. 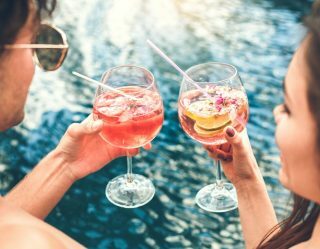 Early sales ran in the mid-to-high six figures, with the work of the legendary Yayoi Kusama hitting the seven-figure sweet spot that so many aspire to. 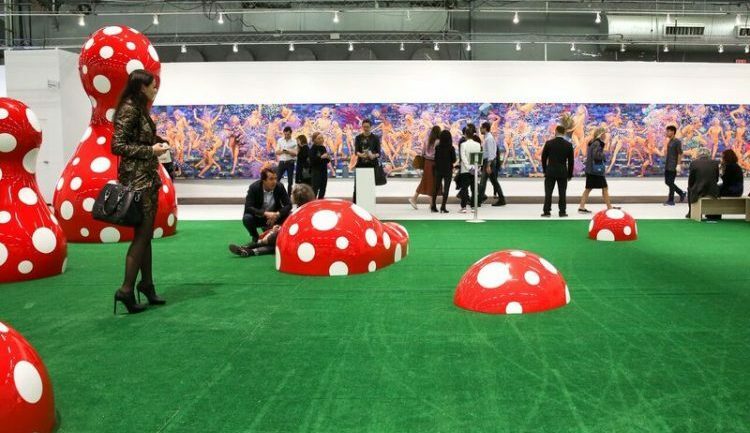 Presented by Victoria Miro, her work, Guidepost to a New World (2016), is an eleven-piece installation that she designed on a napkin and faxed over to the team at the Armory Show: a garden of biomorphic polka-dot phalluses in a bed of Astroturf measuring 60 by 50 feet. 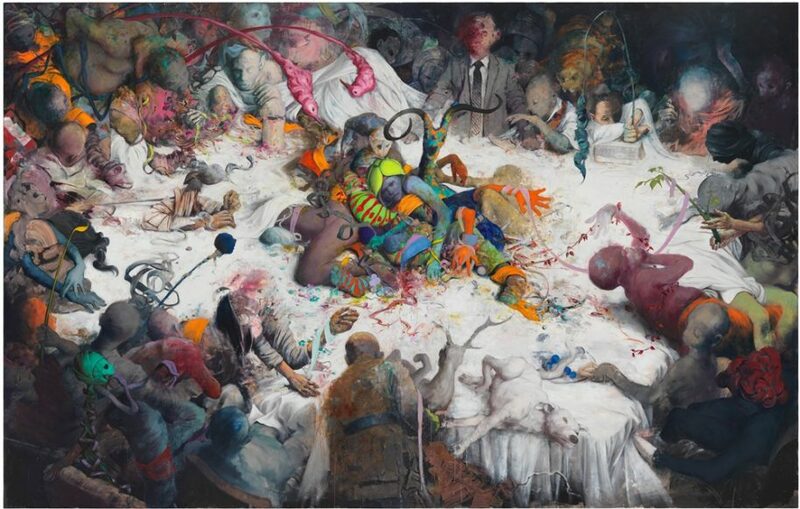 Placed at the center of the fair, the work is created in an edition of two; one has been sold in the range of $1 million and the second on reserve. 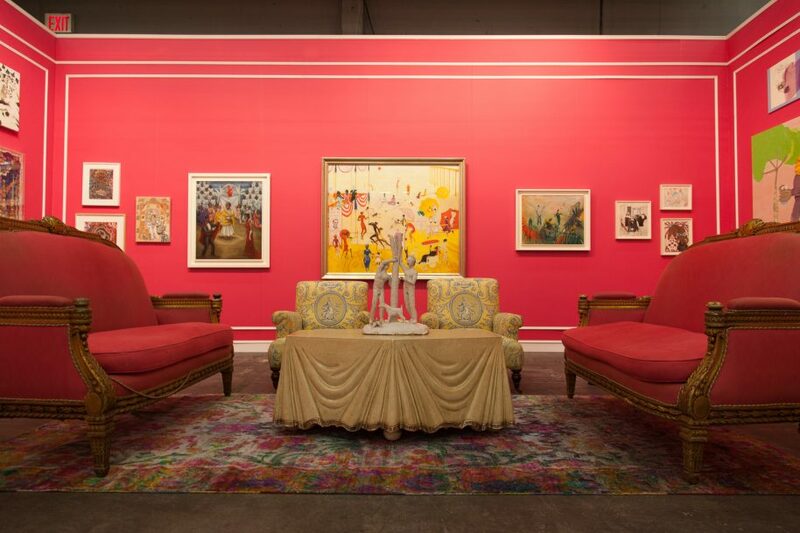 For this year’s edition of the fair, Jeffrey Deitch recreated his original booth at the very first Armory Show in 1994, when it was held at the Gramercy Park Hotel—complete with pink walls and cellophane curtains, recalling a time when the art world was a little more downscale. It was a great throwback to an earlier era, and a measure of how radically things have changed, as this year’s sales show just how much things have changed, as a Cecily Brown abstract canvas with the asking price of $450,000 was sold very quickly. Other notable sales include Anfrass (2017, a massive painting by Jonas Bugert at Blain|Southern. On the other end of the spectrum, Fiete Stotle at Albertz Benda in the Platform section of the fair, presented Eye, an interactive photo booth installation. Here, patrons could purchase self-portraits of themselves silhouetted in the a photograph of their very own pupil for just $100. 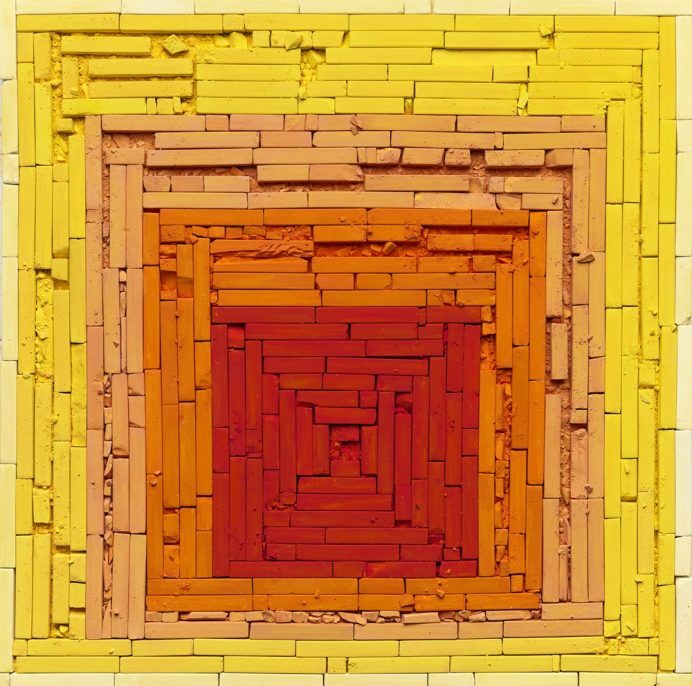 Vik Muniz, Metachrome: Homage to the Square: Glow, after Josef Albers (2016). Courtesy the artist and Galeria Nara Roesler. In other news, Mariane Ibrahim Gallery won the inaugural Presents Booth Prve, which awarded the executive director $10,000 in prize money, funded by Athena Art Finance. Since 2012, Ibrahim has used her gallery as a platform for artists from African and across the diaspora, featuring work by artists including Maïmouna Guerresi, Ayana V. Jackson, and Jim Naughten, among others. The prize money is said to cover the for the booth, effectively putting the gallery in the black without having to make a sale, and inspiring Ibrahim to continue her commitment to the Armory Show. 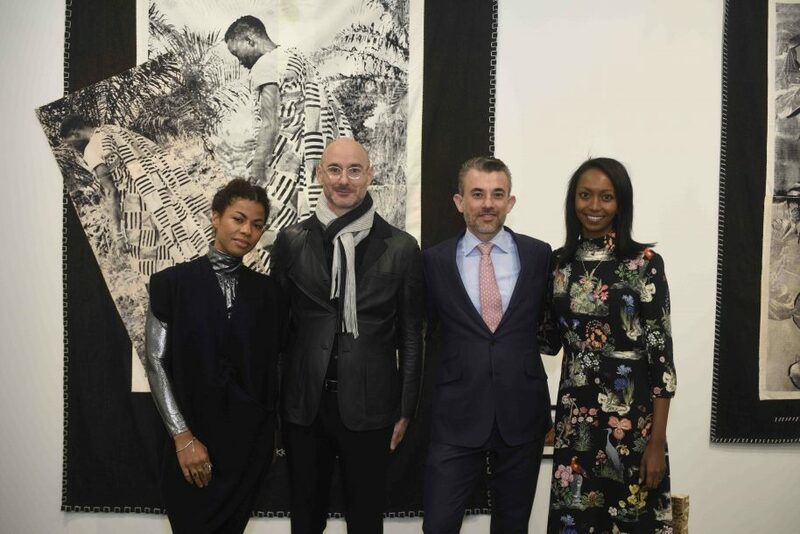 Zora Opalka, Benjamin Genocchio, Mariane Ibrahim and Andrea Danese, CEO of Athena Art Finance Corp. Photo by Teddy Wolff, courtesy of The Armory Show.